Your recreational vehicle (RV) is packed and you are ready to hit the road for a summer full of camping. But first – do you have the right coverage in place? Insurance coverage and options vary between different types of RV’s, especially when it comes to trailers and motorhomes. Read on as ARC discusses the difference between trailer or camper insurance and motorhome insurance. If your RV is considered to be a trailer (ex. truck camper, tent trailer, fifth wheel, etc.) then you have a couple of different insurance options. Because a trailer, for all intents and purposes, is an extension of your vehicle, you can simply add it to your existing auto policy. This will give you basic coverage such as liability, comprehensive and collision. Your personal contents inside your trailer will usually be covered under your existing home insurance policy, but don’t hesitate to check with your broker if you’re unsure. If you’re looking for more complete coverage for your trailer, you should consider camping trailer insurance. This type of policy will ensure you have the proper towing and roadside assistance coverage, as well as increased contents coverage. Insuring a motorhome is slightly different than a trailer because a motorhome is considered to be a vehicle in its own right. 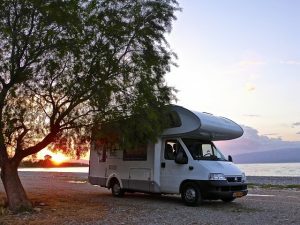 Because of this, motorhomes are treated the same as any other vehicle and therefore require their own insurance policy. The same auto insurance rules that apply to your province will also apply to your motorhome. Similar to trailer insurance, additional coverage may be available through your provider, so make sure you ask about your options! If you’re looking to insure your RV, chat with a broker at ARC Insurance today. Please note that RVs are typically added to an existing home insurance package at ARC Insurance – we are not normally able to provide RV insurance on a standalone basis however some companies may.